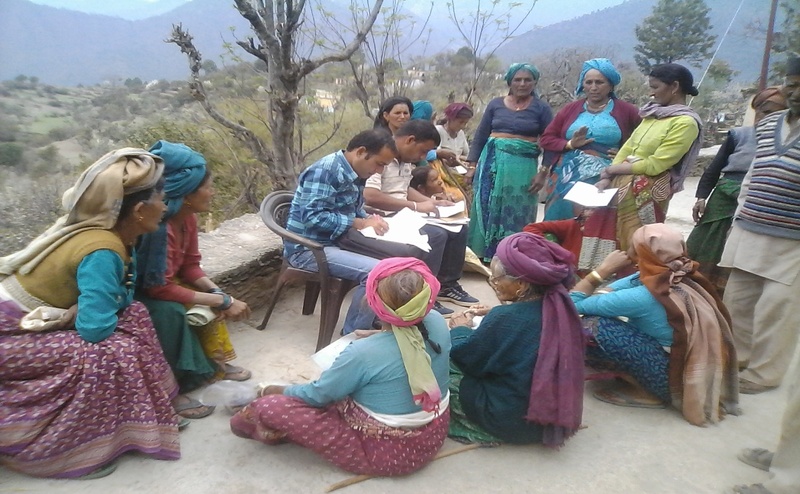 Most of the villagers of Jakhanikhal in Tehri Garhwal district of Uttarakhand fall above the poverty line and belong to the general category. However, they don’t earn enough to be able to afford grains and other food items at market price. Under these circumstances, they are completely dependent on the local PDS shops (or ration shops). A few days ago, some of the villagers learnt that the food grains were being distributed disproportionately and disparately, following which the beneficiaries refused to buy anything from the PDS shop. However, this only meant buying even more expensive ration at market rates. Therefore, the local Soochna Seva (SS) team intervened and organized a meeting for the PDS shopkeepers, village head, villagers and the SS volunteers. The meeting led to a solution and a resolution, and the volunteers helped the shopkeeper in reviewing all the ration cards. Now, everybody is getting their rightful amount of wheat, paddy, sugar and other grains at affordable prices from their nearest PDS shop.